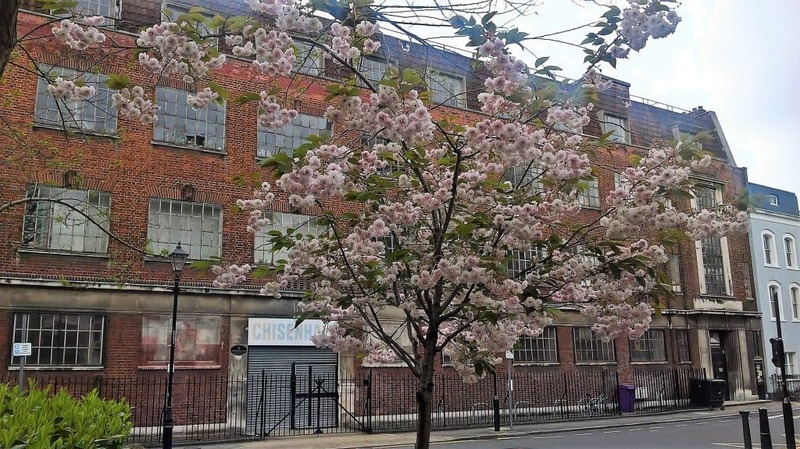 Chisenhale Art Place (CAP) occupies a special position in London’s East End, providing valuable space for the production and experience of contemporary visual arts and dance – all under one roof. 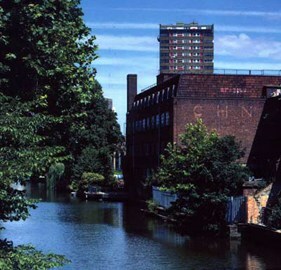 CAP was established in 1980 when a group of artists and dancers were evicted from their studios at Butler’s Wharf by property developers. Over in East London vast numbers of buildings lay empty, and so the group focused their search for a new home there. Chisenhale Works, a former factory, had been derelict for over a decade. Founding members recall a filthy, empty shell – apart from an enormous pile of silver shoes – with little to suggest its future purpose. To the group however, the place was ideal. Rubbish and graffiti had to be removed, roofing, electrics, glazing, walls and doors all had to be installed – with most of the work being carried out by the artists and dancers themselves. It took over two year years to create Chisenhale Art Place, complete with 40 artists studios and two dance studios. In time, the Gallery was created to provide a public exhibition space. Today, Chisenhale Art Place is thriving. Home to three distinct initiatives – Chisenhale Dance Space, Chisenhale Gallery and Chisenhale Studios – with each operating unique programmes that enable emerging and established artists and dancers to develop, experiment and make exceptional work. And in turn, creating extensive opportunities for audiences and communities near and far to participate, learn and engage. Chisenhale Art Place (CAP) is a company limited by guarantee (no.01615990). The company is also a registered charity (no. 285125) established to promote art education. CAP’s Board of Trustees act to ensure the smooth and compliant running of the organisation and that the charitable aims & objectives are met. Our two Member organisations, Chisenhale Dance Space and Chisenhale Gallery, are independently managed with their own Boards of Trustees. A trustee from each also sits on CAP’s Board of Trustees along with artists from Chisenhale Studios’ Artists Advisory Committee. They join six other trustees who bring professional expertise in fields such as Finance, Property Development, Communications and Governance. Policies labelled CAP are applicable to all members of Chisenhale Art Place (CAP). Other policies are applicable only to CAP and Chisenhale Studios, as Chisenhale Gallery and Chisenhale Dance Space are governed by own policies specific to their operations. Click on the + for more detailed information, such as our current Business Plan and operational policies.